A versatile, all-around bass drum head with plenty of durability. 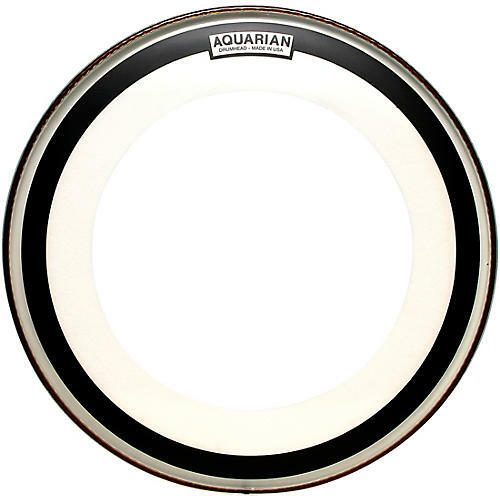 A clear, single ply, medium weight bass drum head that delivers focused yet warm sound for your kick. The Impact™ series features Aquarian’s patented “Floating Muffling System”. A wider felt ring is attached to the backside of the drum head to reduce “over-ring”.